The first step in producing aluminium is mining its ore – bauxite. Bauxite is the primary ore from which aluminium metal is extracted. Australia has the second largest reserves of bauxite in the world and is currently the leading producer with five mines supplying around 23 per cent of global production. Once the bauxite is mined from the surface, the land is rehabilitated. Alumina refineries process bauxite ore to produce alumina which is then sued to extract aluminium metal. Approximately two tonnes of alumina are required to produce one tonne of aluminium. Australia is the world’s fifth largest producer of aluminium. As electricity is a key input in aluminium smelting, smelters are usually located in areas with reliable, low cost energy. The Australian industry is at world’s best practice on electricity efficiency, while also leading the global industry in controlling greenhouse emissions. Smelting occurs in large carbon-lined steel furnaces called reduction cells. 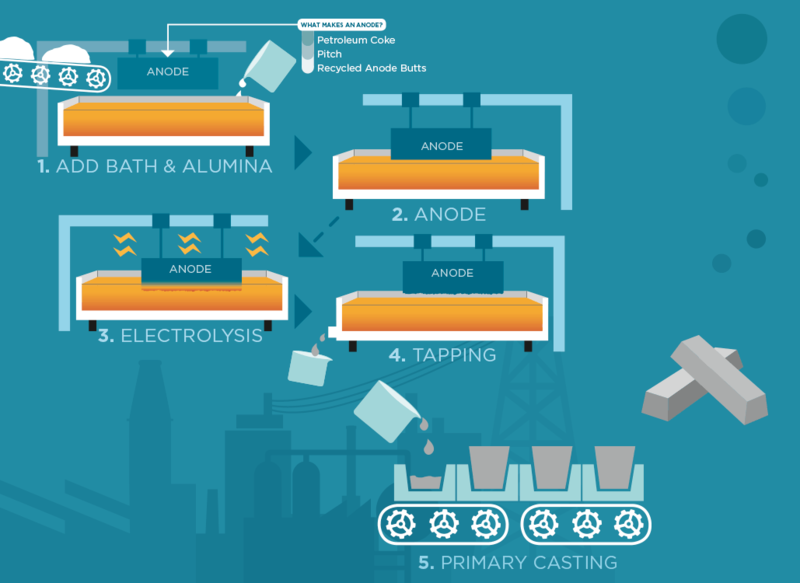 A continuous electric current flows from the anode (carbon blocks), through the alumina/cryolite mixture to the carbon cathode cell lining. The alumina reacts with the anode to form aluminium. The molten aluminium sinks to the bottom of the cell. It is then siphoned out of the cell and transported to a holding furnace to be cast into various products. 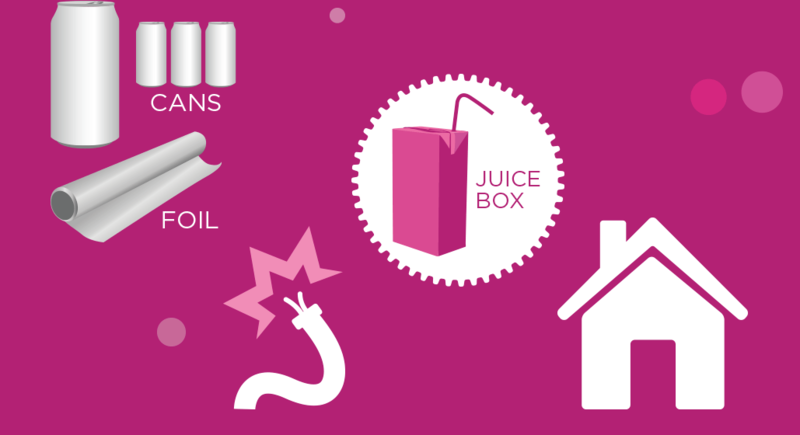 What is our aluminium used for? Where does our metal go? 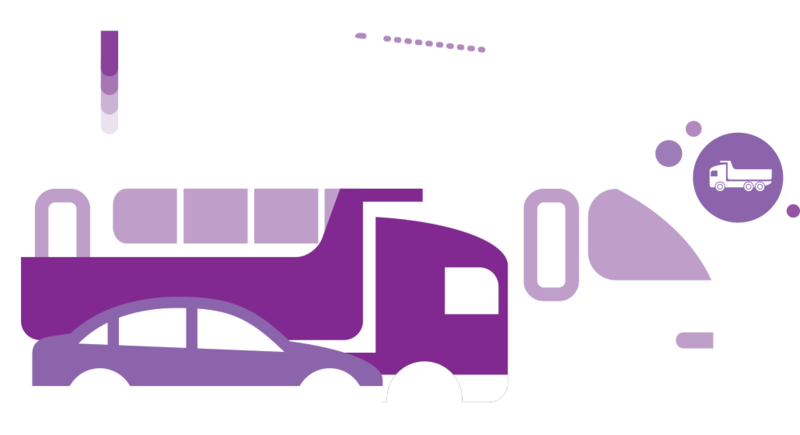 The majority of our metal is cast to customer requirements, either pure aluminium or aluminium alloys. Some metal is, however, sold directly in a hot state, for the production of aluminium powders and pastes. Over 80% of the metal produced at Bell Bay Aluminium is exported. The primary markets for our metal include Asia – mainly China, South Korea and Japan – India and South Africa. The market price paid for aluminium from Bell Bay is the same price paid for aluminium worldwide. This price is determined by the London Metals Exchange. Beverage can bodies and tops. Foil for household and commercial wrap. Manufactured packaging products e.g. fruit juice cartons. Wire, normally reinforced with steel to form cables. Sheet products for roofing and wall cladding. Castings for builders’ hardware.